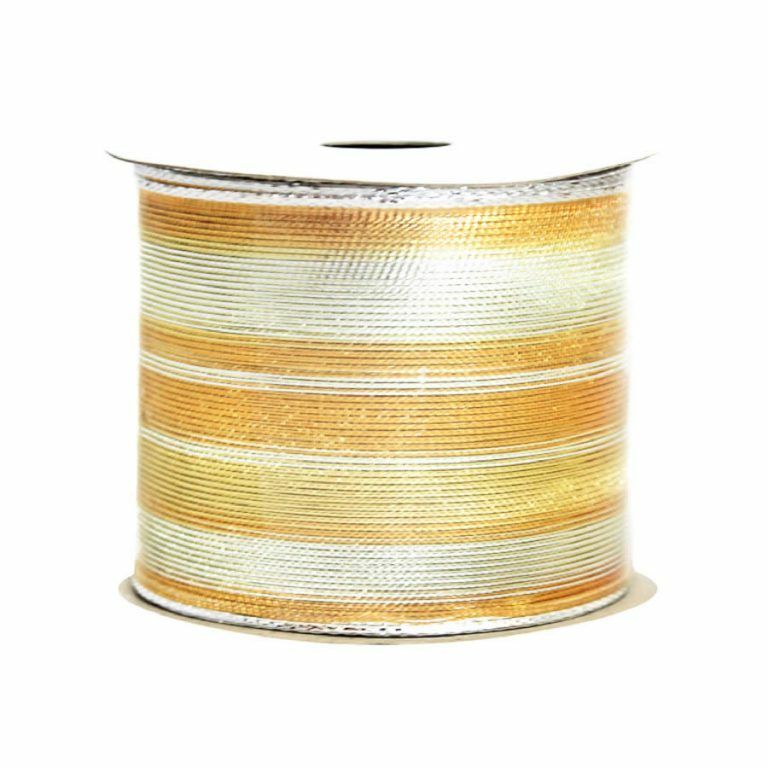 There is a crinkly look to this unique Metallic Gold Stripe Ribbon that makes it a wonderful way to accent all of your home’s holiday accents, from very sophisticated to rustic. 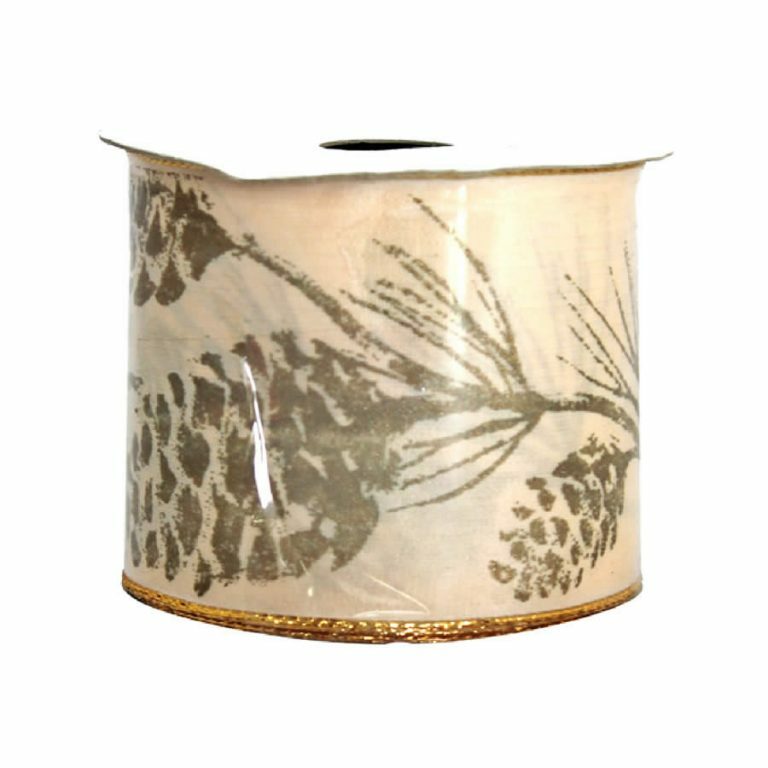 The textured look of the 7cm wide ribbon pairs well with natural elements, such as pine-cones and balsam. 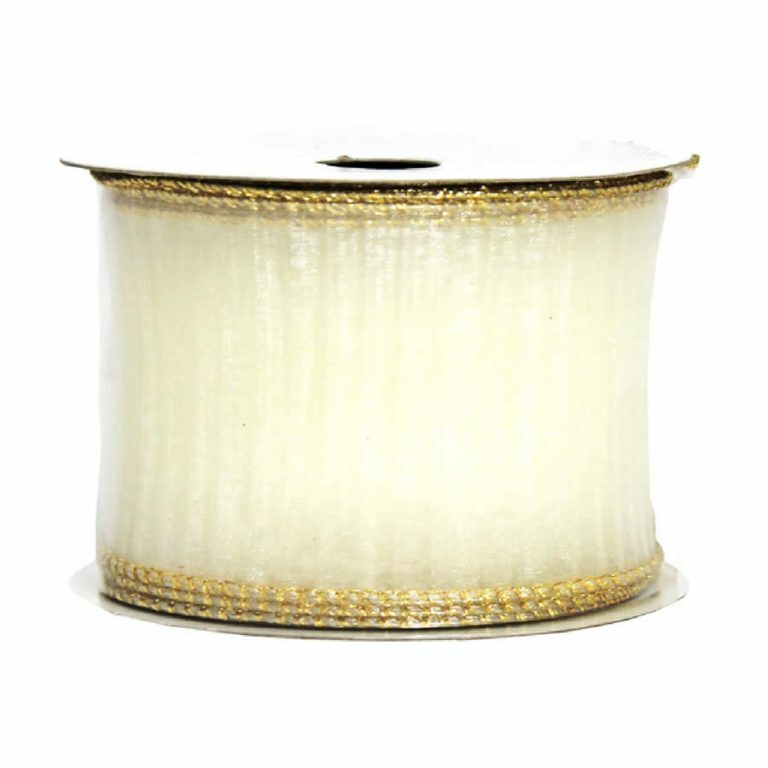 Each roll contains 9-metres of quality, wire-edged ribbon in the softest shade of gold. This would be a stunning way to finish decorating your holiday tree. 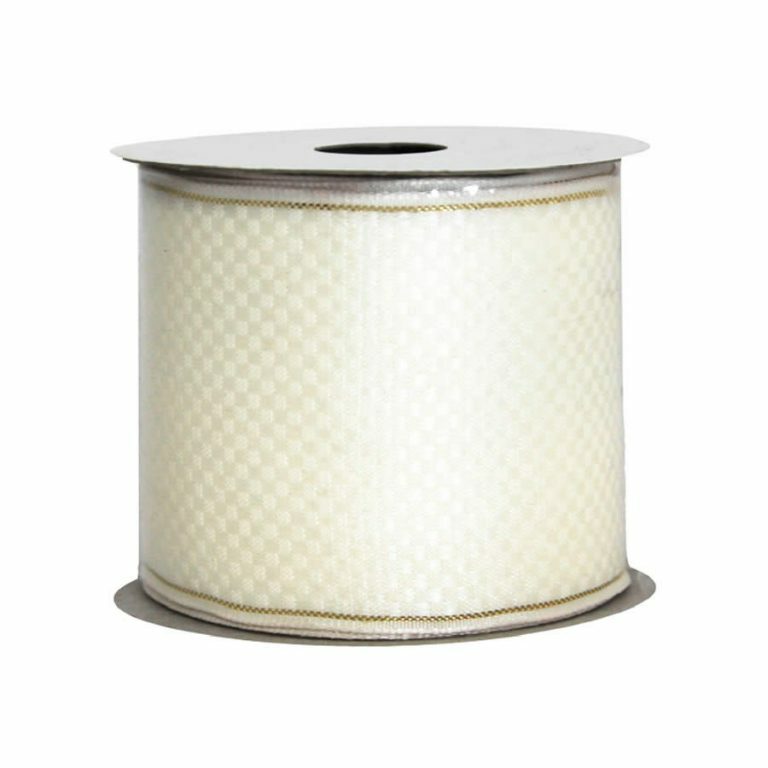 Try swaddling your decorated tree in this long spool of ribbon, from top to bottom, letting it rest on the branches as you wrap toward the floor. This would also be the perfect ribbon for bows to adorn your wreaths of any type, from grapevine to fir, for a festive and tasteful touch! 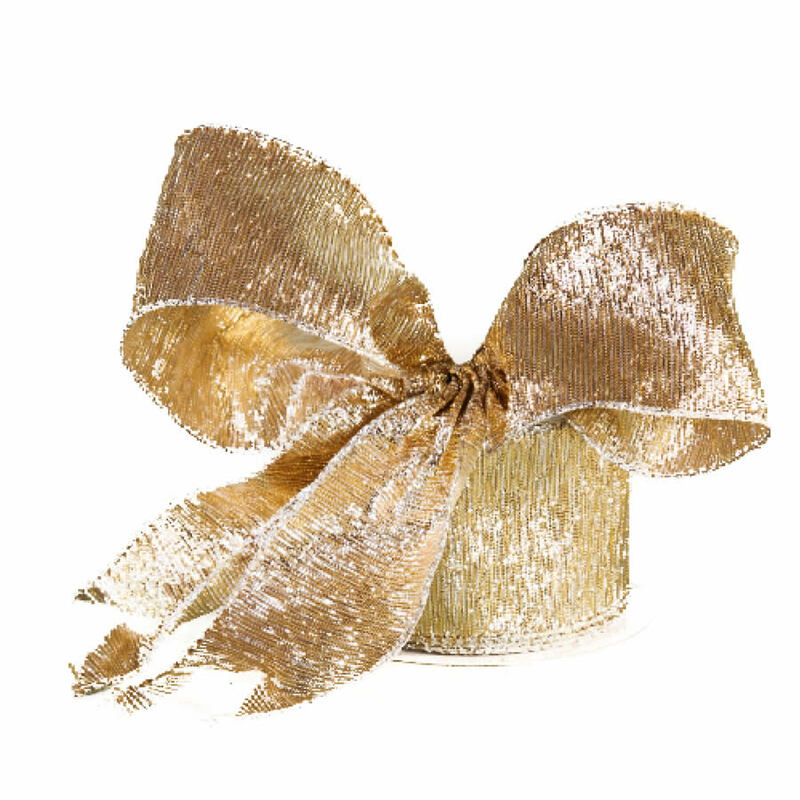 Enjoy the ease of creating trims with wire edged ribbon and know that your projects will last for year to come.